On Friday 20 May 2016 IAMCR president, Janet Wasko, and Uniminuto Rector, Leonidas López Herrán signed a Memorandum of Understanding that will see IAMCR’s 2017 conference taking place in Cartagena, Colombia from 16-20 July. The theme of the conference will be New Discourses and New Territorialities: Cultural and political mutations and communication. The local organising committee, chaired by longtime IAMCR member Amparo Cadavid, Dean of Uniminuto’s Faculty of Communication, is preparing an exciting academic and social programme what will, among other things, expose participants to some of the new communication work emanating from Latin America, Colombia and the beautiful Caribbean city of Cartagena. The host Institution is Corporación Universitaria Minuto de Dios – UNIMINUTO, School of Communications, in cooperation with other Colombian and Latin American universities and institutions such as CIESPAL (Centro Internacional de Estudios Superiores en Comunicación para América Latina – International Centre for Advanced Studies in Communication in Latin America), FESCOL (Friedrich Ebert Stiftung in Colombia), la Universidad Javeriana, the Universidad del Norte, the Universidad de Cartagena, the Universidad Tecnológica de Bolivar and the Fundacion para el Nuevo Periodismo Iberoamericano (the foundation that was established by Nobel prize winner Gabriel Garcia Marquez, a longtime resident of Cartagena). This conference will be part of the XV Meeting of the Latin American Federation of Schools of Social Communication (FELAFACS), to be held from October 5 to 7, 2015 in MEDELLIN, COLOMBIA. We invite all to participate also with presentations and assistance in the XV Meeting of FELAFACS. The deadline for submission of papers to the XV Meeting of FELAFACS is February 28, 2015. The American Federation of Schools of Communication (FELAFACS) and the National Communication Association (NCA) signed in 2010 a Memorandum of Understanding which formalized the relationship that began in 1997 with the first Communication Conference of the Americas, in the City of Mexico. The aim of this agreement is to establish a long-term cooperation to promote dialogue among communication scholars in the Americas, and share their perspectives on research, teaching and practice of communication to foster new ways of collaboration. In the spirit of this understanding, the two associations support the celebration of the XI Conference of Communication of the Americas to be held in Medellin, COLOMBIA on Sunday, October 4, 2015. This conference is held as part of the XV Latin American Meeting of Schools of Social Communication (FELAFACS) to be held from 5 to 7 October 2015 in City of MEDELLIN, COLOMBIA. The XI Conference of the Americas communication allows communication scholars of the Americas and the Iberian Peninsula to grow and create international connections to share their projects, perspectives, and experiences in the field of research, teaching and practice of communication in universities and organizations. Proposals for this panel may address issues related to specific cultural mutations and their impact on changes in communication in any of the countries of the Americas and the Iberian Peninsula. The context of these cultural and communication change is open (hence may be in the social, political, cultural, urban, rural, technology, business, academic, religious, environmental, etc. context). We seek proposals for theoretical essays or research (done or in progress) that are provocative and original, and analyze the relationships between cultural change and its impact on communication mutations. Proposals for this panel may address issues related to specific mutations Power and its impact on Mutations in the communication in any of the countries of the Americas and the Iberian Peninsula. The context of these mutations power and communication is open (hence may be in the social, political, cultural, urban, rural, technological, business, academic, religious, environmental, etc. context). We seek proposals for theoretical essays or research (done or in progress) that are provocative and original, and analyze the relationships between mutations of power and its impact on communication mutations. Proposals for this panel may address issues related to transformations in the Academic Communication Field produced by cultural or specific mutations in any of the countries of the Americas and the Iberian Peninsula. We seek proposals for theoretical essays or research (done or in progress) that are provocative and original, and analyze the relationships between cultural mutations and power in the academy and its impact on communication within the academy mutations level governance, teaching, research and practice. Those interested in presenting at one of these panels (1.2, 3) must submit an abstract (abstract) of 2-3 pages with the given topic to present. The deadline is 28 March 2015. Authors of accepted proposals should send your manuscripts by September 15, 2015. Each panelist will have 10 minutes to make their presentation. Proposals may be in Spanish, English or Portuguese. Please send proposals in Spanish to: Dr. Agrivalca Canelón. Sabana University, Bogotá, Colombia. Please send proposals in Portuguese to: Dr. Ricardo Carniel Bugs, Autonomous University of Barcelona (UAB), Barcelona, Spain / Brazil. Please send proposals in English to: Dr. Luis Felipe Gómez, San Jose State University, San Jose, California. USA. The LSLP Micro-Papers are a series of conceptual, one-page papers intended to introduce key elements of literacy and how they fit within our frameworks. This series, edited by CID affiliated researcher Dr. Raúl A. Mora, drew inspiration from our Key Concepts in Intercultural Dialogue series. These micro-papers are authored by student researchers and other affiliated researchers from the Literacies in Second Languages Project at Universidad Pontificia Bolivariana in Medellín, Colombia, as a space to promote their research in the field of alternative and 21st century literacies. We invite you to check out both the LSLP Micro-Papers and the Literacies in Second Languages Project website. Dr. Raúl Alberto Mora is at present an Assistant Professor in the School Education and Pedagogy Graduate Program at Universidad Pontificia Bolivariana (UPB), in Medellín, Colombiam where he also coordinates the MA in Learning and Teaching Processes in Second Languages (ML2). He is also a faculty affiliate at the PhD in Social Sciences at UPB and the PhD in Education at Universidad Distrital in Bogotá. Dr. Mora’s current teaching duties include preservice language courses and graduate-level seminars on research and literacies in second language contexts. He holds a PhD in Language and Literacy and an MA in Teacher Education, both from the University of Illinois at Urbana-Champaign. He was a Fulbright Scholar and belongs to the Honor Society of Phi Kappa Phi. He has written peer-reviewed articles and book chapters on issues of language teaching, literacy, and qualitative research. He has presented conference papers (both on site and virtually) and has participated as plenary speaker in Colombia, Argentina, Spain, India, Vietnam, the United States, and Russia. In addition, he has been a guest lecturer at different universities in Colombia and Spain. He is at present an Editorial Board member for the Journal of Adolescent & Adult Literacy, where he also serves as Editor for the Advocacy/Policy Department section. Other editorial duties include the International Review Board for the HETL Review and the Editorial Boards for PROFILE and HOW Journals in Colombia. Dr. Mora also sits on the Advisory Committee for the Colombian Fulbright Commission and has been an educational adviser for the Colombian Ministry of Education. His research work features membership in the Language and Culture Research Group at UPB and the Teacher Education Research Group at Universidad Distrital. 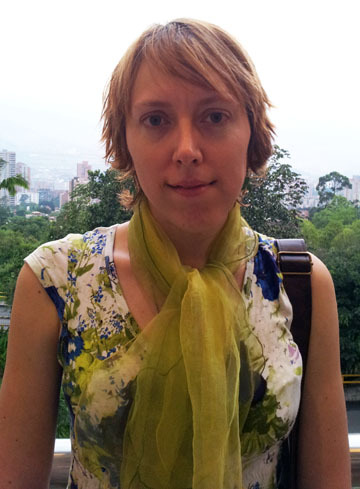 He also chairs the Student Research Group on Second Language (SRG-L2) at UPB. A qualitative researcher by choice and training, he has specialized in the education of novice researchers at the undergraduate and graduate levels. Most of his research includes ethnographic approaches and action research, interspersed with elements of case study research, narrative inquiry, and discourse analysis. His current research agenda covers the fields of alternative literacies, critical discourse analysis, world languages, socio-cultural theory, and issues of bilingualism and multiculturalism. 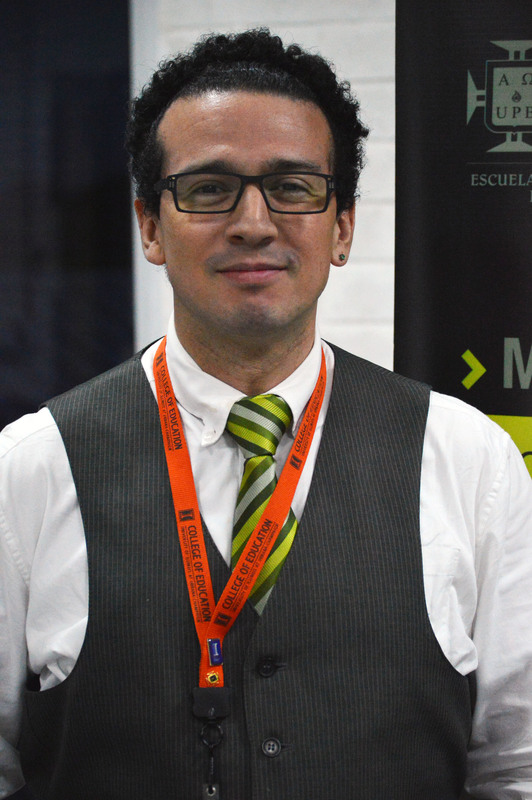 His research on literacies include the analysis of English literacies in urban spaces of Medellín, Colombia, the description of English literacies in virtual gaming communities in the city, and the development of frameworks to discuss the evolution of the notion of literacy in languages other than English. His work on world languages includes the development of conceptual frameworks that defy the traditional binary of second/foreign language and respond to the language ecologies present in today’s world. Recent studies on critical discourse have analyzed the social imaginaries of teachers in advertisements for online courses and the idea of the trickster in Colombian comedy. His most recent work on Socio-cultural theory has analyzed media and the situation of teacher education in Colombia through the use of Pierre Bourdieu’s social frameworks. Finally, his work on bilingualism and multiculturalism (most of it in tandem with his wife, Dr. Polina Golovátina-Mora) intends to look at the multiple dimensions of bilingualism to give it a stronger social dimension. You can check Dr. Mora’s website for more details about his academic interests, teaching, and research endeavors, as well as his Academia.edu profile.